You have a book about food? You have a book I would like to read. I’ve read a bunch of food books over the last year or so (Animal, Miracle, Vegetable, The Omnivore’s Dilemma, Food Matters, In Defense of Food, the upcoming Make the Bread, Buy the Butter), and I’m not losing steam yet. Bart probably wishes I would, so that I’d stop forcing him to stop whatever he’s doing and listen to me read off a bunch of stats. But too bad for him. 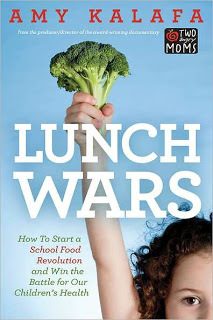 Lunch Wars is specifically about the food culture in schools and how to get changes made so that your child isn’t getting a daily dose of mechanically separated chicken part nuggets (mmmm!) and Pop Tarts. 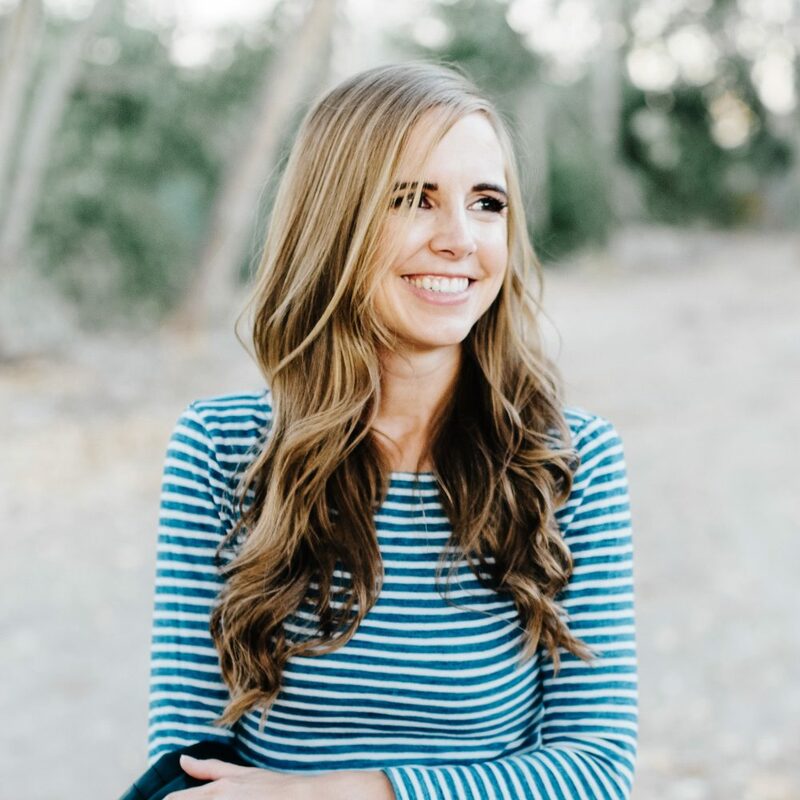 Amy Kalafa made a documentary called Two Angry Moms about this same topic and this book is part follow-up, part how-to manual. It discusses in-depth why food matters for children, how the government regulations and big food providers work together to provide food for schools, how to get people involved in advocating for better school food, putting food education back in the classroom, keeping food (especially junk food) from being a reward used by teachers, and the economics of free and reduced school lunches and breakfasts. Basically, if it has anything to do with school food? It’s in this book. The fact that this is, in part, a manual means that there are some parts that are rather lengthy and not that relevant for people like me who are not actually looking to change the school food, but rather just generally interested (just typing that sentence makes me feel guilty – should I be down advocating at my local elementary school?). I didn’t really need to see tons of examples of surveys to give to parents to determine how they feel about school food. And it could have been edited down quite a bit – I think I could have very clearly gotten the picture with about 100 less pages. But there was so much else that just fascinated me. I loved the stories about parents who made things happen, who got rid of soda and prepackaged food in their schools and brought in organic milk and real produce. I loved hearing how schools successfully phased out terrible foods and brought in better products and simultaneously improved the cafeteria’s bottom line, while reducing food and packaging waste (I know. I’m such a nerd). I particularly enjoyed the section about the things that administrators and school boards are likely to say to shoot down efforts to improve food, and how to respond to them (for instance, “Kids need choices so they can learn to make good choices.” Her response? “Offering children unhealthy foods and drinks at school contradicts what they are taught about good nutrition and sends a mixed message. Why shouldn’t all the choices be good choices?”). And because I am always interested in how money plays into the whole thing, I absolutely couldn’t get enough of how big food industries like Coke try to get their brand in the schools and create mini consumers. Or how schools lose money on the actual lunches, so they sell junk food in order to make up the difference. Or how getting a free or reduced lunch has such a stigma that by the high school level, less than 35% of eligible kids take their lunch, preferring to go hungry, even if that’s the majority of their food supply. And how, if the school lunches are terrible, kids who don’t get the lunch free aren’t going to buy it, making it very obvious which kids are too poor to pay themselves. The studies about how food impacts children are just astounding. In one school that got rid of all soda saw a 50% decrease in suspensions from one year to the next (the superintendent thought better counseling was in part responsible, but credited the removal of caffeine as well). Schools that moved recess before lunch saw much more positive behavior in the classroom. Kids who originally only wanted to eat hot dogs learned to appreciate and enjoy diverse, healthy foods (it wasn’t overnight, but it happened). Even if your child isn’t in school or doesn’t eat a school lunch (or even if you aren’t feeding a child), this book is so useful, so fascinating, and so inspiring. (Amy Kalafa thought it didn’t really apply to her because her child didn’t eat lunch at school, but she discovered that the money she put on a lunch card for the occasional forgotten lunch emergency was being used on an almost DAILY basis by her daughter to buy french fries and soda). I could bore you forever with anecdotes and statitistics from this book. I won’t (you’re welcome), but if you have any interest in food, this is a book worth taking a look at. I read this book for the BlogHer Book Club and you can read other reviews and discussion at BlogHer. 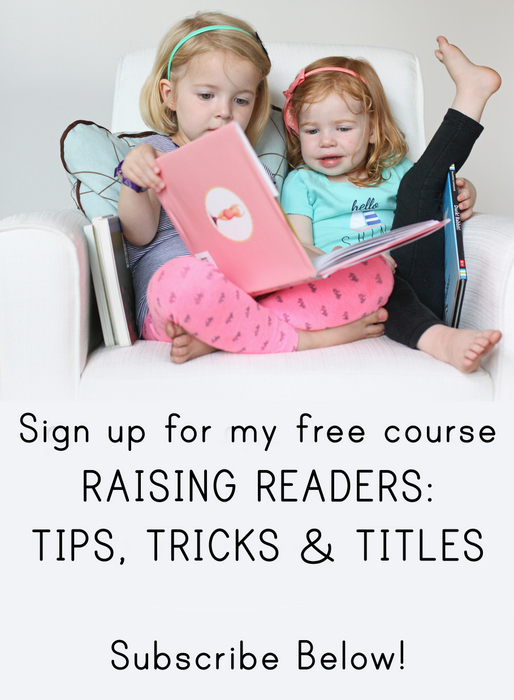 I am paid for my participation in the BlogHer Book Club, but I choose which books to read and my reviews are strictly my own opinions. If I think a book is terrible, I’ll say so. If I rave about a book, it’s because it’s one I’d give to Kayla or my mom. I can honestly say that the meat (or should I say "meat") in school lunches was the main reason I went vegetarian for a number of years. I'm also amazed at how even children who bring their lunches are making poor food choices. For example, my daughter participates in a preschool coop (similar to Joy School, minus that exact curriculum). As part of it, her and her 4 classmates bring lunches. I try to make my daughter's with a fruit, vegetable, and main dish, and sometimes a fruit snack for dessert. The other kids bring those things AS WELL AS Ding-Dongs, Hostess Cupcakes, Fruit by the Foot, and a variety of candy. You can guess what food gets eaten first and what gets left over. And you can also guess which child feels "left out" and comes home begging for more treats in her lunch! Have you ever read the blog Fed Up With Lunch – The School Lunch Project? http://fedupwithlunch.com/ ? I find it really interesting (especially the old posts when she was actually doing the project/eating the lunches every day). I don't have kids, but I remember the school lunches of my "youth" and they way better than those. I did notice over the years that the lunches were going downhil…by the time I was in high school, things like nachos (just tortilla chips with "cheese" sauce) and cheese sticks were being offered as entrees. Not exactly a balanced lunch anymore. I should read this, it sounds fascinating. And I need to e-mail you the photo I took of the lunch menu at my sister's school district when I was there last month. I got all sorts of riled up about it!